New for the 2009/2010 Season, Uhlsport have created their top range football boot - The Kickshuh Instinkt. Made from super soft Kangaroo leather, this boot provides outstanding comfort, a consistant fit and strength of shape, allowing you to experience maximum perfomance every time you wear them. 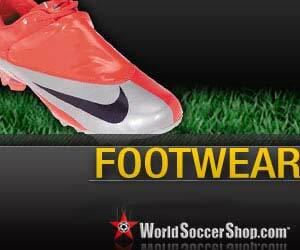 The insole of the boot is made from a durable, re-moulding PU material, allowing for long lasting wearing comfort. The external heel counter and midfoot torsion element provide maximum stability throughout the whole of the boot, whilst the transparent stud plates are individually positioned providing perfect weight distribution. The Firm Ground Version of this boot comes with 14 moulded blades, ideal for harder surfaces.